It's officially Spring here in the Art Shop, and we're fully underway in celebrating it's many festivities! We have plenty of Mother's Day cards in stock for that last minute "panic buy", but mostly our shop is all prepared for Easter! Our Easter themed window, as pictured above, features art products that we sell in store in a range of Springtime colours, as well as work from Sam Toft, Debbie Boon, Graeme Lothian and Penny Lindop. 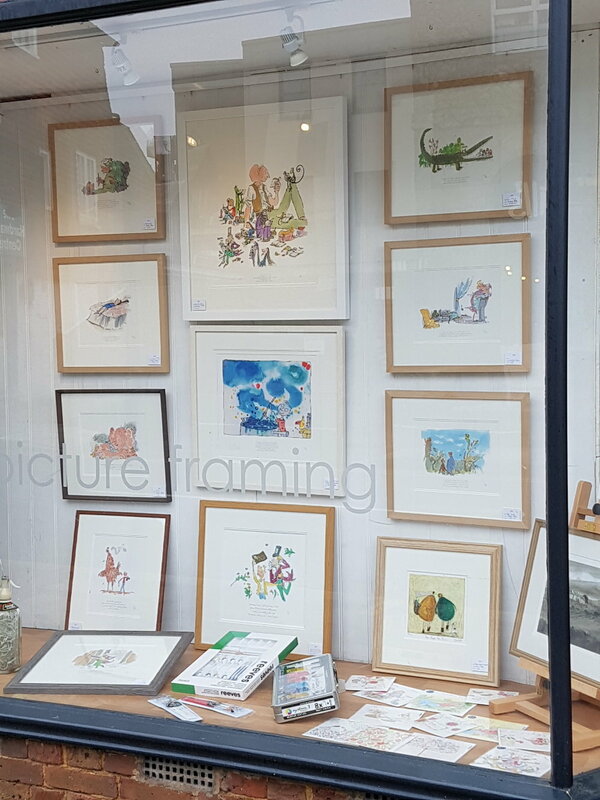 We've also decided to dedicate a whole window to the increasingly popular Quentin Blake illustrations; being nostalgic and full of humor, they would make a perfect gift for Mother's Day or Easter. We'd love to see you in the shop sometime soon, so why not come and take a look at the amazing pictures that we have in the gallery?